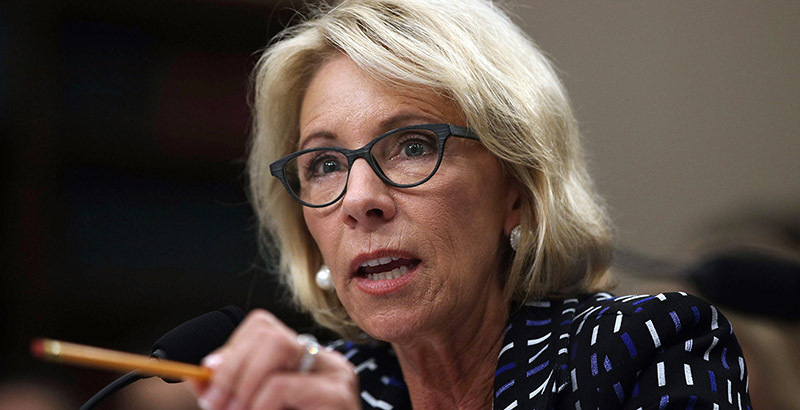 The U.S. Department of Education said Thursday that Texas violated federal special education law when education officials there adopted a policy that sought to lower the number of students eligible for disability services. Through the policy, which effectively denied special education services to thousands of children, the Texas Education Agency failed to identify, evaluate, and educate students as required by the Individuals with Disabilities Education Act. The Department, whose 15-month review followed an explosive investigation from the Houston Chronicle, told Texas officials that they must design a plan to identify students inappropriately denied services and find a way to assist them. In 2004, state officials began to evaluate school district special education programs based on whether 8.5 percent or fewer of their students received special education services. That target was eliminated last year, following the Chronicle’s investigation, which found that the policy encouraged districts to deny services to students, contributing to a substantial drop in the number identified as disabled. Read more about that investigation here. In response to Thursday’s news, Gov. Greg Abbott, a Republican, gave the state education agency seven days to draft a corrective action plan.